Isla Incahuasi is a beautiful hilly and rocky outcrop of land and Former Island in Bolivia. 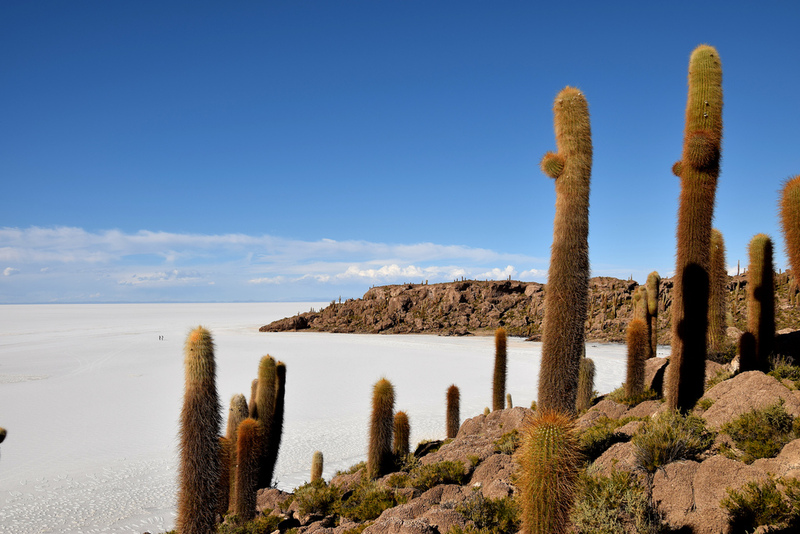 It is situated in the middle of Salar de Uyuni, the world’s largest salt flat. 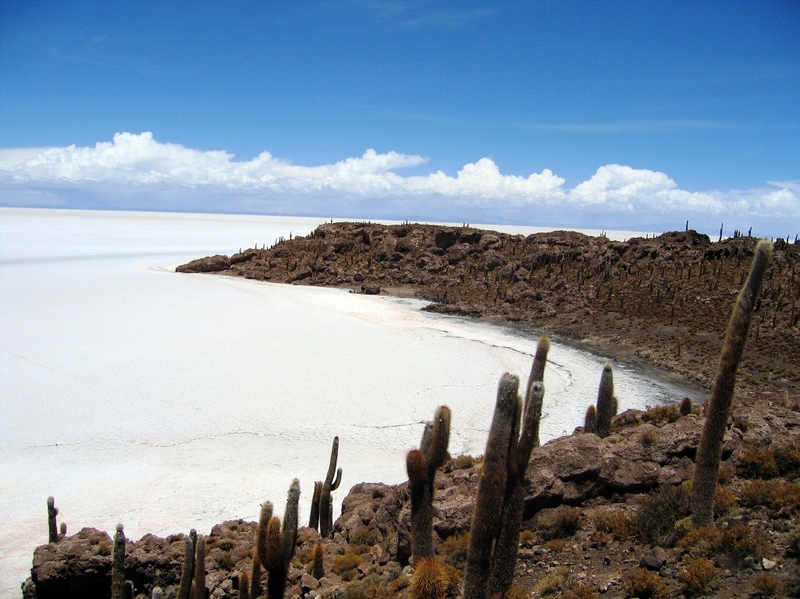 Isla Incahuasi elevation is 3,656 meters. 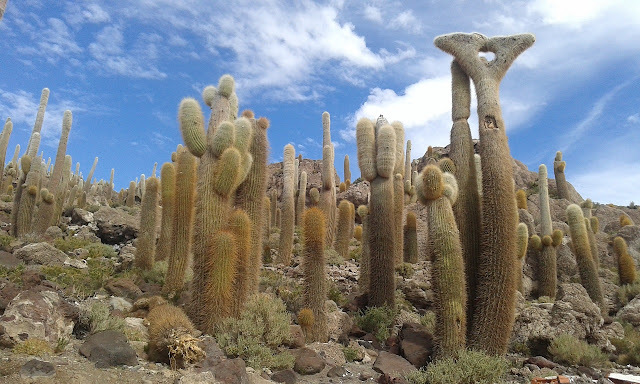 It is located in the Potosí Department, Daniel Campos Province, Tahua Municipality, Yonza Canton and 80km west of Colchani. 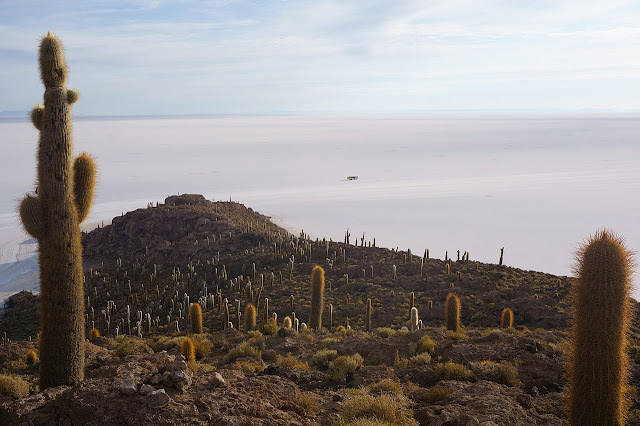 This hilly outpost is surrounded by a flat white sea of hexagonal salt tiles. The cacti grow one centimeter per year and most of them are more then two meters high. Isla Incahuasi is a Spanish name where “isla” means “island”, “Inca” means for Inca, and huasi is derived from the Quechua word “wasi meaning house”. 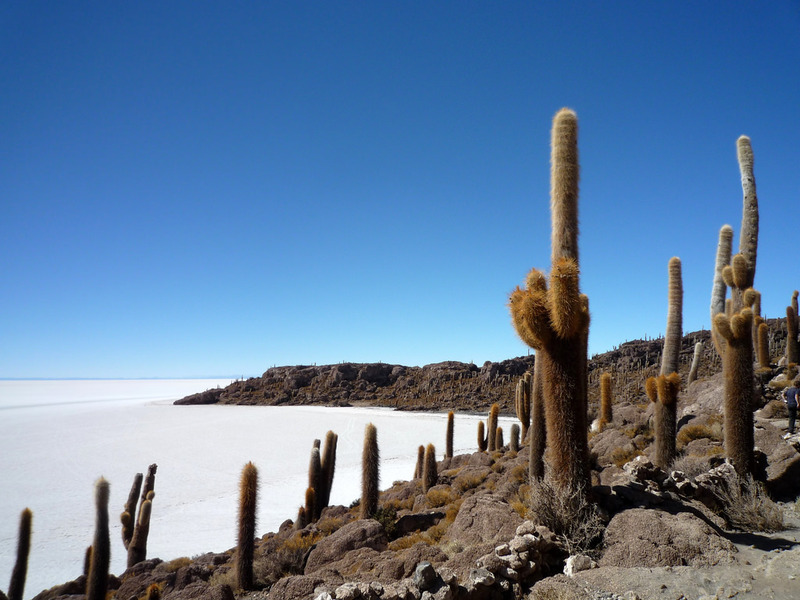 The circular walk to the top starts slightly to the east or left as you face the island. Though this does afford superb views, their is some scrambling required? 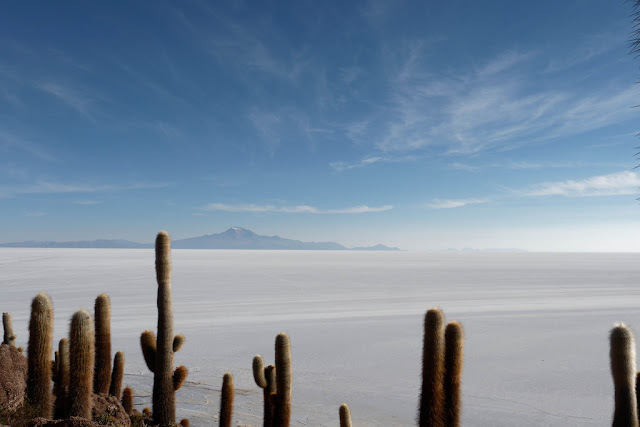 The route down is on the west side and is much easier. 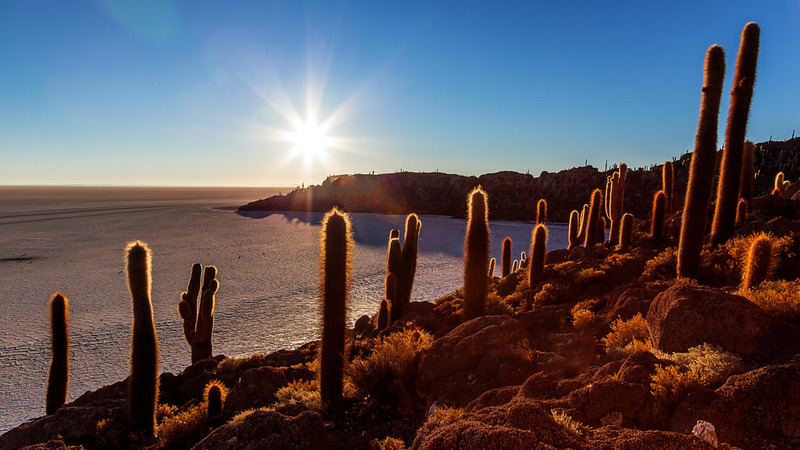 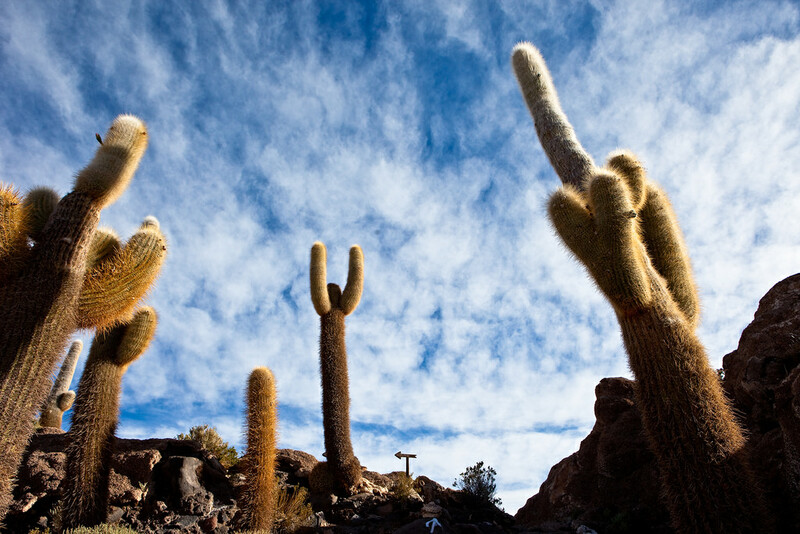 Incahuasi has a total area of 24.62 61 acres and hosts gigantic cacti and a tourist center. 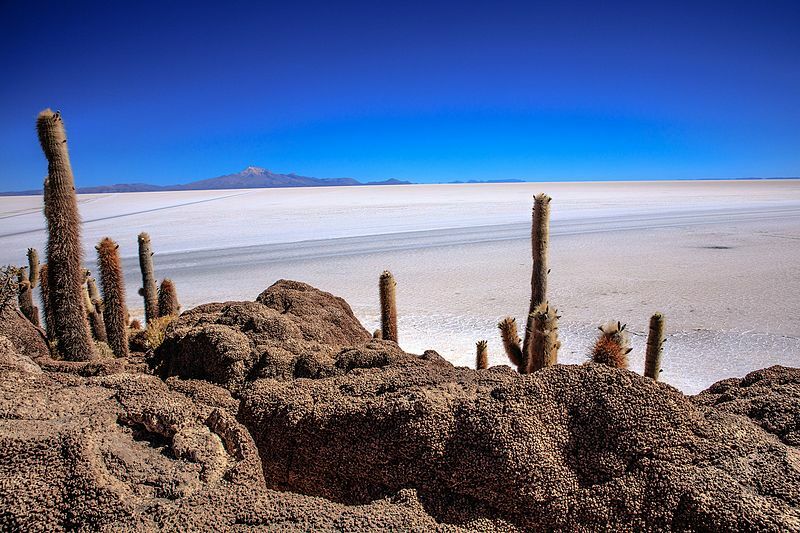 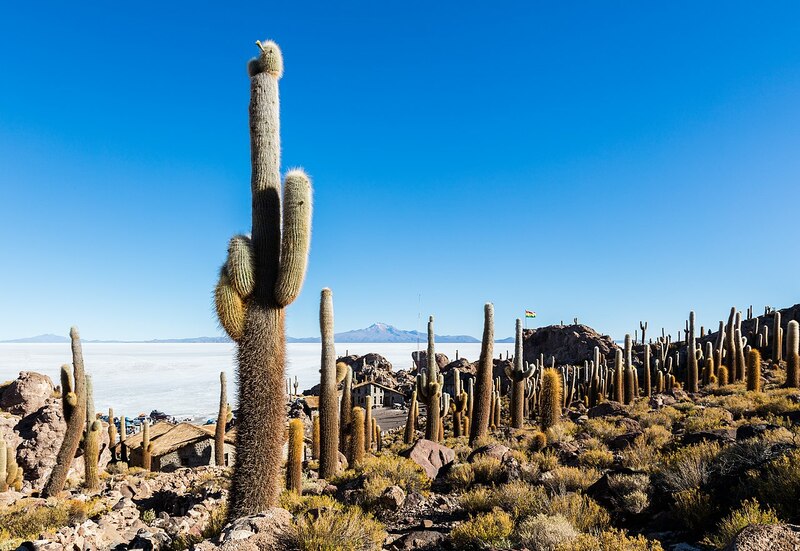 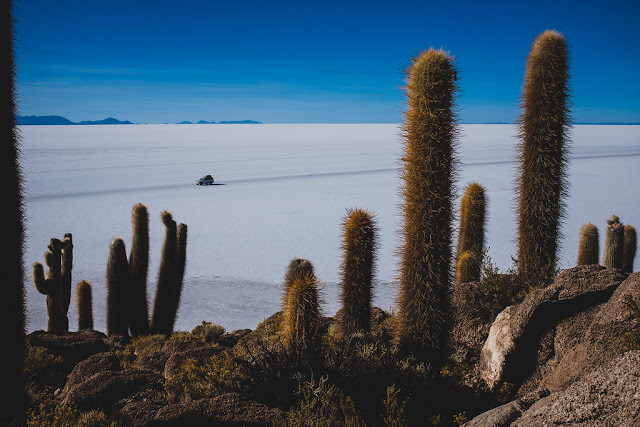 This area is one of the best highlights of Salar de Uyuni also known as Inkawasi. Their are strange and flimsy coral-like structures and deposits that often consist of fossils and algae. 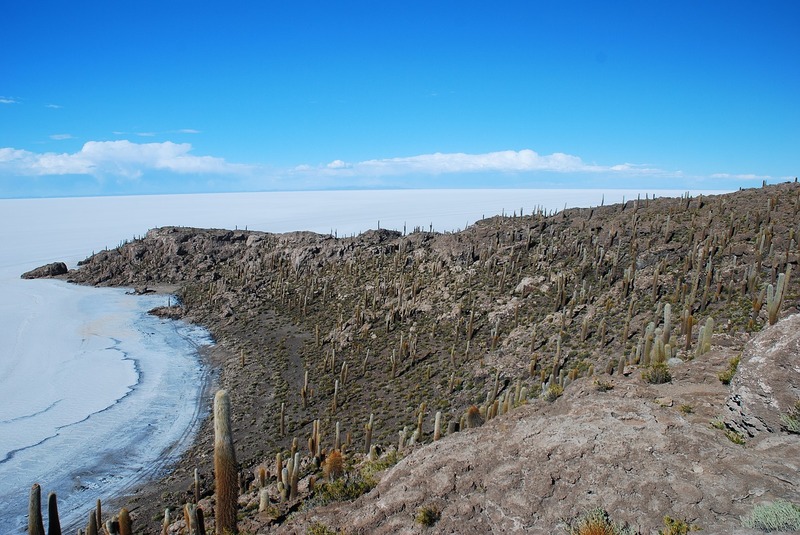 The area is the top of the remains of an ancient volcano. That was submerged due to a giant prehistoric lake, approximately 42,000 years ago. This is an island of Trichocereus cactus that rises up in the middle of the salt flats. 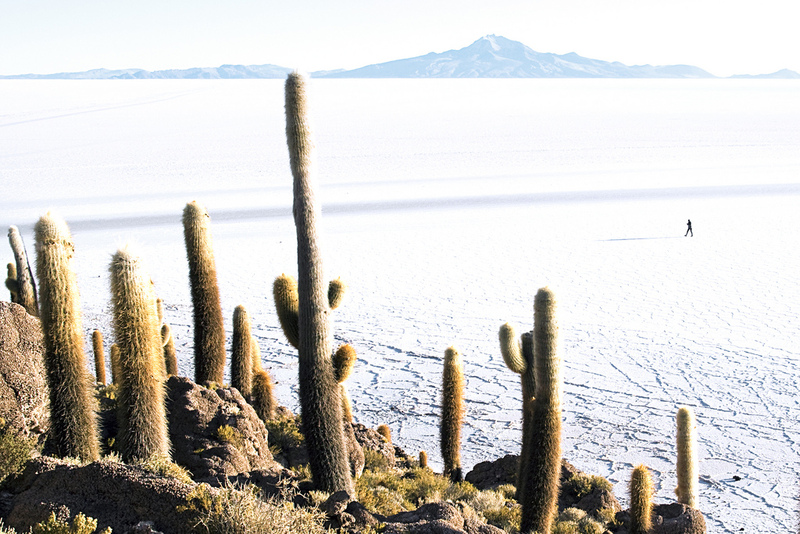 Climb to the top of the hills and you can see 360 views of Salar. 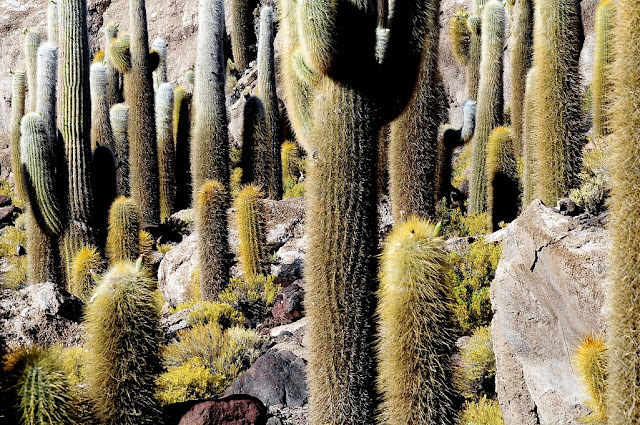 It is a surreal feeling watching centuries old cacti grow in all directions.